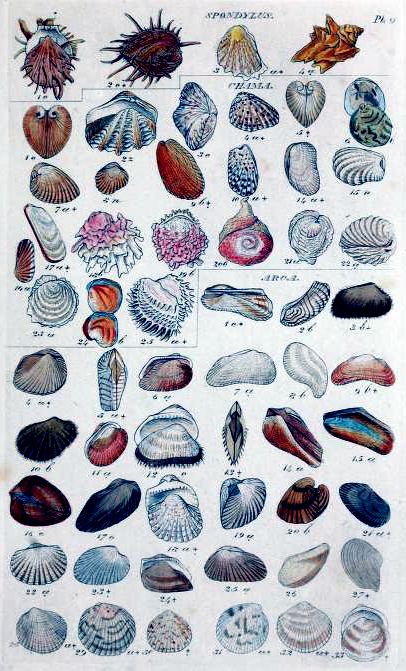 This 18th century scientific illustration of shells captures a wide variety of different species. This image is ideal for a wide range of projects, including school projects, classroom visuals, and greeting cards for marine biologists. You are free to use this image in your personal or commercial work without permission. Please credit FreeVintageIllustrations.com when re-posting this image on your website, blog, or social media.